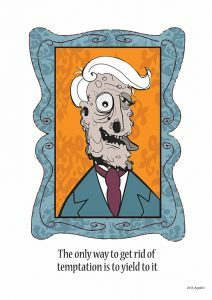 The Picture of Dorian Gray is Oscar Wilde’s famous Gothic novel about the wish for eternal youth and its terrible consequences. As the evenings grow shorter it is a perfect tale to read in the run up to Hallowe’en. The following 10 things will help you bring The Picture of Dorian Gray to life in Oscar Wilde’s hometown of Dublin. Oscar Wilde was born on 21 Westland Row before his family moved up in the world. Look for the plaque commemorating his birth. Oscar Wilde Icon from Romping through Dorian Gray by At it Again! Just around the corner on Merrion Square you will find himself resting on a rock and looking at his former family home, now the American College. The Gothic tale starts in Basil Hallward’s artist studio where Dorian Gray sits for his portrait and makes his fateful wish. See one of Ireland’s most famous painters studio in the Hugh Lane Gallery. It was moved there from London and recreated exactly as Francis Bacon left it. 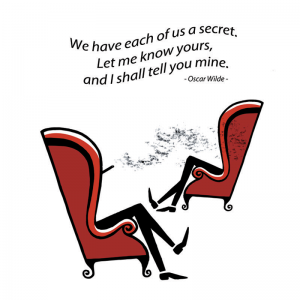 The Picture of Dorian Gray – print by At it Again! Dorian Gray and his best friend Lord Henry Wotton are forever dining at the best houses. Visit the Shelbourne Hotel where Oscar Wilde stayed while lecturing in Dublin. Enjoy a drink or a decadent afternoon tea to get into the spirit of things. As befits the Victorian lady or gent, take a ride in a horse and carriage through the streets of Dublin and see if you can spot some dandies. You will find the carriages around St Stephen’s Green park or at the Guinness factory. 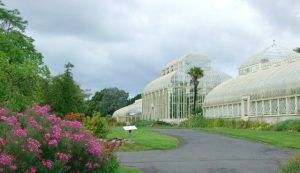 Some offer tours of Georgian Dublin. Dorian Gray falls in love for the first time in the theatre where Sibyl Vane enchants him in a Shakespeare play. Catch a show in the Gaiety Theatre where Oscar Wilde used to lecture and see if you fall in love with one of the performers. 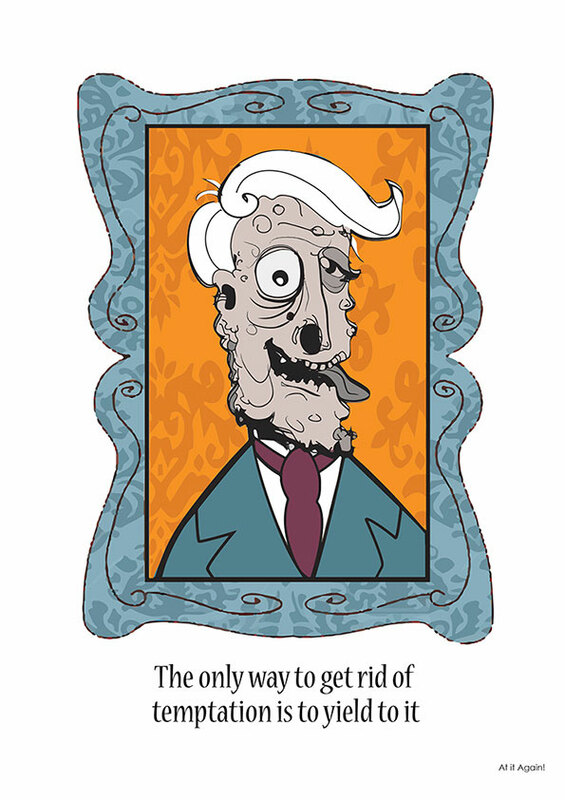 Dorian Gray uses a yellow book and its central character’s life of virtue and sin as a guide for his own pleasures. It inspires him to study mysticism and religion and start collecting exotic things. Dive into his world of pleasure by visiting the rare and exotic collections at the Chester Beatty Library. After murdering the artist who painted his portrait, Dorian Gray calls on a former friend and scientist, Alan Campbell, for help. Dorian blackmails him into using his chemical skills to dispose of the body. 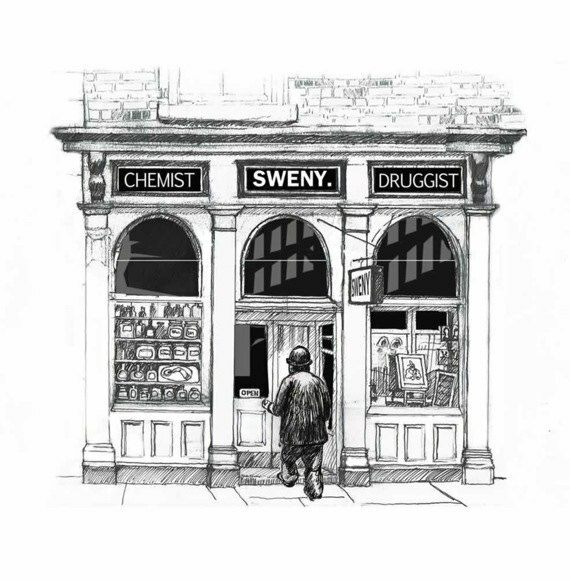 See if you can find some dangerous potions in Sweny’s Chemist on Lincoln Place where Oscar Wilde’s father, a doctor, used to get his medicines. Made famous in James Joyce’s Ulysses, it retains its turn-of-the century interior and is dedicated to readings from Joyce’s works. 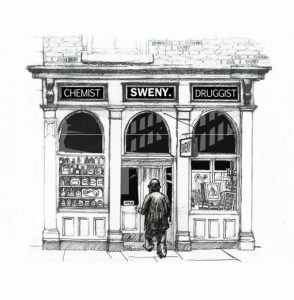 Sweny’s Chemist illustration by At it Again! On his quest for pleasure, Dorian Gray is a frequent visitor to the disreputable houses and dens in London’s East End. Explore the ruins of the Hellfire Club in the Dublin mountains where the devil allegedly played cards with depraved aristocrats. At a house party at his country estate, Dorian Gray selects an orchid from the conservatory for a duchess to wear for dinner. Visit the Victorian Glasshouse in the Botanic Gardens in Glasnevin to travel back in time. For a Gothic adventure, book tickets to Nightmare Plants as part of the Bram Stoker Festival. 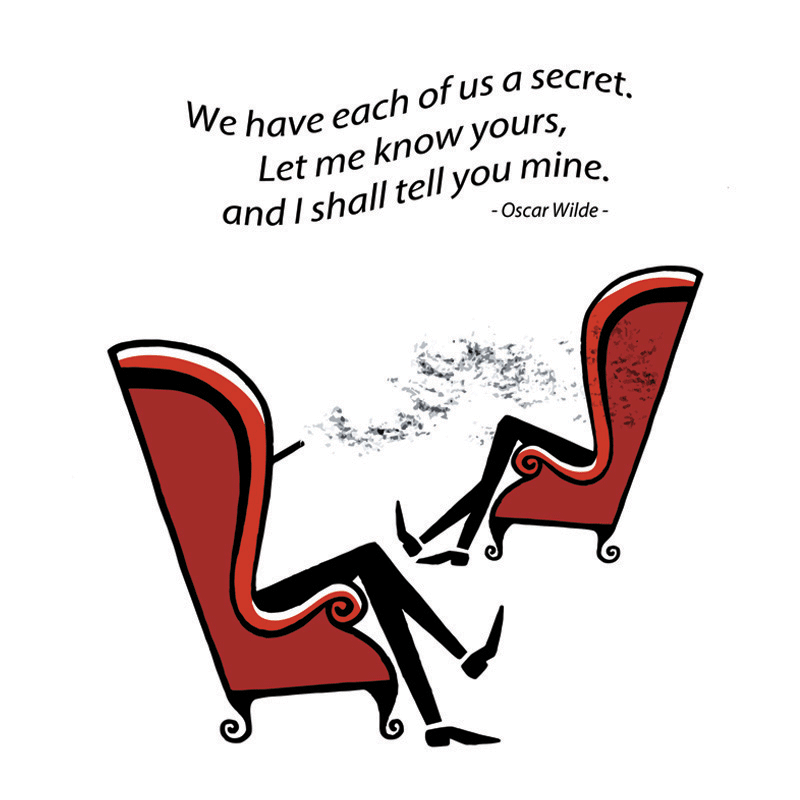 We hope you enjoy your literary adventure in the footsteps of Oscar Wilde and his famous character, Dorian Gray. We would love to hear about your experience in the comments below. 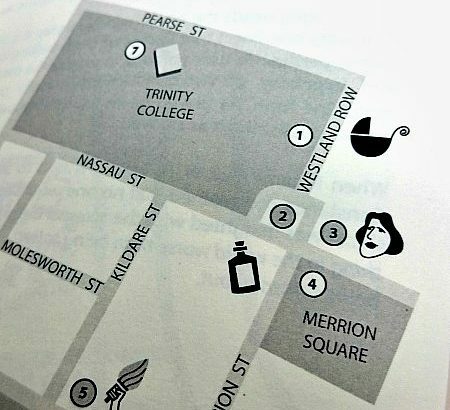 If you need more suggestions to create your own Dorian Gray adventure in Dublin or wherever you are, check out our playful pocket guide, Romping through Dorian Gray. Maite eats books and ideas for breakfast washed down with a mug of coffee. She is one of the authors of Romping through Dorian Gray. Dublin Trip, Oscar Wilde, The Picture of Dorian Gray Books, City guide, Dublin, Dublin trip, Famous Irish Writers, gifts for booklovers, gifts for readers, Irish Classics, Irish Literature, Irish Writers, literary gifts, literary guide, literary maps, literary travel, Oscar Wilde, The Picture of Dorian Gray, Things to do in Dublin, Victorian. permalink.